Before it gives up the ghost, Mitsubishi teases three plug-in hybird concepts. 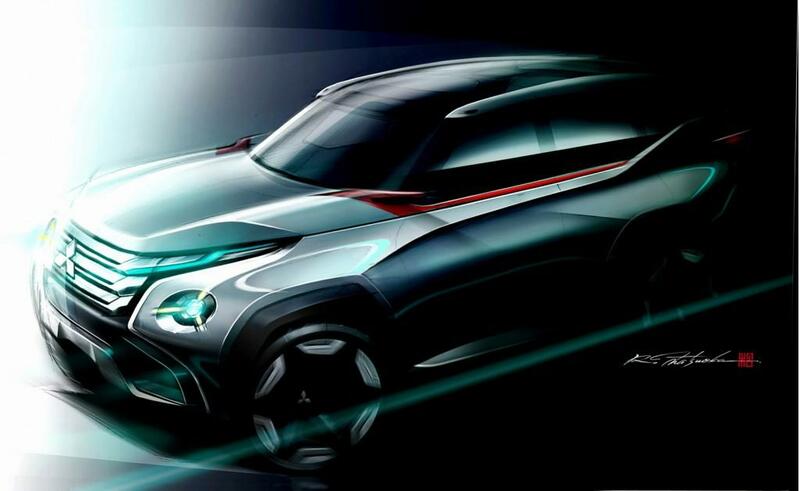 Mitsubishi seems to be taking over Suzuki’s spot at the bottom of the automotive barrel, but a batch of concept cars it plans to unveil at the 2013 Tokyo Motor Show could very well change that. The Japanese car maker will preview future styling and tech with two plug-in hybrid SUV concepts and a small car concept. The Mitsubishi Concept GC-PHEV is a full-size SUV that looks like a reincarnated version of the cult-classic Montero (also known as the Pajero). The big SUV has a green heart in the form of a plug-in hybrid powertrain. Mitsubishi isn’t giving any specifics, only saying that the GC-pHEV will give potential customers the typical SUV driving experience but with less cataclysmic fuel economy. The GC-PHEV also has Mitsubishi’s Super All Wheel Control (S-AWC) vehicle dynamics system, which might give it better handling than the average big ‘ute. Mitsubishi calls the GC-PHEV a “connected car,” claiming it will offer “next-generation preventive safety technology and driver support technology through wireless connectivity.” Perhaps that means it comes with its own version of vehicle-to-vehicle communication. A second plug-in SUV will join the GC-PHEV on the Mitsubishi stand in Tokyo, but this one should be easier to park. The Concept XR-PHEV is a compact SUV with a “sport coupe” body style, according to Mitsubishi. It could foreshadow the next Outlander Sport, which is already a bit too small to be truly practical, anyway. Re-imagining it as a fashion item – a la Nissan Juke – might make sense. Why so many plug-in SUV concepts? Mitsubishi is already selling the Outlander Plug-In overseas, so it might be contemplating building a full line of vehicles based around that car’s basic tech. With car makers like BMW and Volkswagen also contemplating plug-in SUVs, that could be a smart move. If electricity is going to become mainstream, it will have to conquer the SUV and crossover segments. Mitsubishi will also unveil the Concept AR in Tokyo. The company says it offers the “mobility of an SUV and the occupant space of an MPV.” It’s powered by a small gasoline engine with turbocharging and direct injection. The compact SUV-minivan crossbreed body probably won’t play play well in the U.S., where full-on crossovers reign supreme. Still, it would be cool to see a tech-packed small engine in future Mitsubishi cars, as the company’s alternative to Ford’s EcoBoost engines. The Tokyo Motor Show opens November 20. Look for more coverage here.